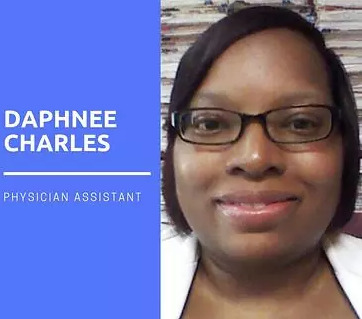 Daphnee – Many people hear the term “PA”, but don’t understand the difference between a PA, and a Medical Doctor. Can you elaborate? Response: PA stands for Physician Assistant. This doesn’t mean that I’m the doctor’s assistant or secretary. I’m a mid-level provider who works in a healthcare team that consists of the physician, physician assistant, and patient. This means that just like the doctor, I see patients, take history, diagnose conditions based on signs and symptoms, and I come up with a treatment and plan. At times, I have to order medication(s), or an image, or refer to a specialist; all under the licensed doctor. Can you describe your partnership with MASC Medical? Response: I actually found MASC Medical online. I’ve been with MASC Medical for about four months now, but in that short time, they’ve quickly put me to work. I currently can be found working at a clinic in Coral Springs. I usually substitute for the doctor when he can’t make it in. Would you say, there are benefits for Medical Organizations that hire temporary PAs like yourself? Response: Sure thing. Doctors all need someone to sub for them when they can’t make it into the office. The current doctor I sub for usually attends classes once a month, and he also attends events in another state. He has needed me to cover on those days. Otherwise, he would have had to operate his office on those days to only refilling meds for patients who are current, or cut his event, vacation, engagement short or just shut his doors for several days. Keep in mind this only happens if the doctor doesn’t have a partner in the office. How do PAs help solve the Physician Shortage problem? Response: There is a huge physician shortage. Which means that there’s a shortage of high quality care in some areas. I love that PAs help by filling in in areas of need. We are here, and provide the care when a doctor is not available. In your eyes, how are PAs shaping the future of Healthcare? How has the role of a PA expanded throughout the years? Response: PAs can be found in several areas of the medical field. It used to be that we’d fill in the needs of rural practices, but now you can find us filling in the needs for family, pediatric, surgical, dermatology, and other practices. PAs now help the healthcare system by seeing more patients, and being that extra provider to dispense the care that’s missing where a doctor alone could not do. What would you say is “unique” about MASC Medical? Response: MASC Medical is unique in the sense that they have a huge network, and resources. They not only help doctors find temporary help, but they also help medical organizations staff permanently all within a short amount of time. With this solution, doctors are able to keep their doors open while they take care of engagements outside of their office. These engagements can be for a varying amount of time, days, length, but the resource is there to provide the service comparable to the need of the hiring individual. Knowing what you know about MASC Medical, and what they offer, what advice would you give Medical Organizations looking to find the “right” staffing partner? Response: MASC Medical is looking to help staff your practice/organization with qualified individuals. They are a nationwide leader in healthcare staffing, and recruiting. Their expertise, resources, relationships, and proven strategies have allowed them to develop a proactive, and efficient approach when serving clients nationwide. Due to their extensive background in staffing and recruiting, the team is capable of matching the right physician, physician assistant, nurse practitioner or dentist to the perfect medical organization, and they can also help healthcare professionals find their next assignment. 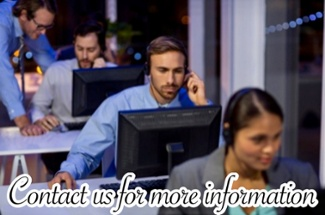 To learn more about MASC Medical, and how it can help your medical organization, submit your information to be contacted by one of our medical recruiters.